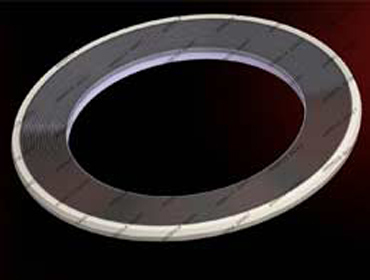 At Goodrich Gasket, we manufacture Spiral wound gaskets by spirally winding a preformed metal strip and filler on the outer periphery of metal winding mandrels whose outside diameter form the inner diameter of the gasket and superposed metal and non-metallic windings are continually wound until the required outer diameter is attained. 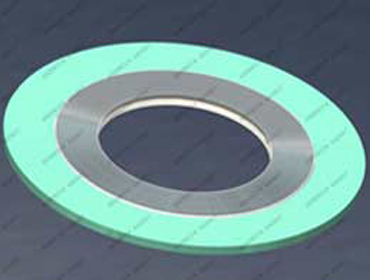 They are more resilient than any other type of metallic gasket with higher flexibility and recovery characteristics to maintain a seal under variable working conditions. Type R Inner and outer diameter reinforced with plies of metal without filler Greater stability and better compression characteristics. Tongue & groove /male & female/groove to flat face flange assemblies. Type RIR Solid inner metal ring as compression stop to fill annular space between flange bore & inside diameter of gasket. Prevent accumulation of solids, reduce process fluids turbulent flow and minimize flange face erosion. Suitable for male and female pipe flanges. 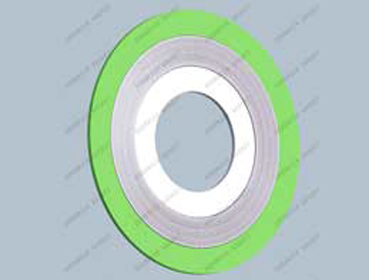 Type CG External ring centering gasket on flange face for more radial strength. Prevent gasket blowout, compression stop. Suitable for Flat & raised face flanges. Type CGI Solid metal Inner ring acc. to ASME B16.20 for class 900, 1500, 2500, NPS greater than 24”, 12”, 4” resp. & metal winding of same material. Suction side of pumps /compressors, smooth surface finish (125 Ra max), prevent over compression of gasket. Suitable for Flat & raised face flanges, corrosive/ toxic media, high press. /high temp. Service. Type HE Standard spiral wound on outer portion & single or double jacketed for pass bar, fastened to ID of spiral wound portion. As Heat exchanger gaskets with heat exchangers requiring pass bars. 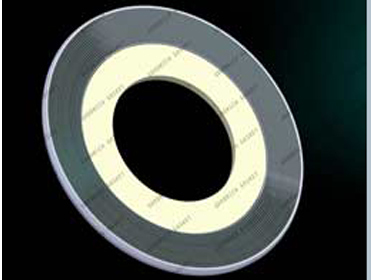 Type HE-CG Similar to Type HE with outer guide ring & spiral wound primary seal. Resiliency and excellent sealing quality. Type HE-CGI Varied CGI with an inner ring & spiral wound steel nose/ solid metal outer ring. Accurate gasket location. Used in Heat exchangers, TEMA type flange arrangements. 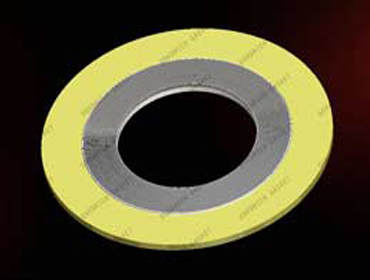 Type CG-RJ Special sized CG gasket with outer ring to cover ring joint grooves. Maintenance repair item prevents SPW portion from entering groove & suitable for Standard ring joint flanges. Type M, MC, MCS MC has Pre-formed inner &/or outer rings of spiral winding with a centering guide. MCS has a solid metal inner &/or outer ring. Boiler manholes cover assembly, high pressure systems. 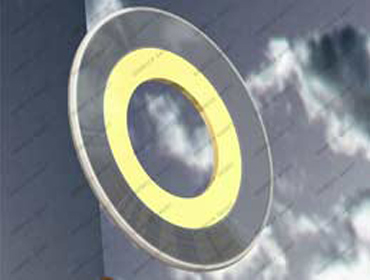 Depending on manhole plate configuration these are oval, round, obround in shape & prevent shouldering and pinching due to radial misplacement. 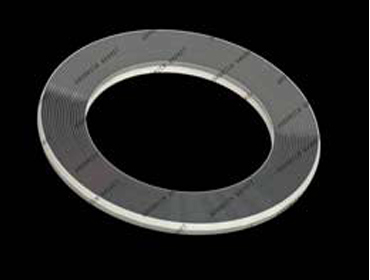 Type T Round, oval, square, diamond, obround, pear shaped gaskets. Boiler hand hole & tube cap assemblies. Relies on internal pressure in boiler to seat the gasket. Type 625 Similar to Type R & 0.0625” thick. High pressure sealing in space restricted applications. 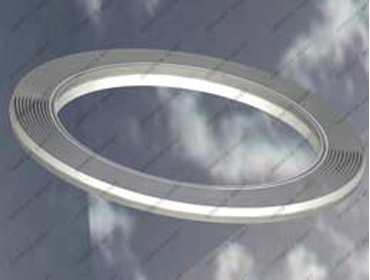 Carrier Ring Integral construction of 2 spiral wound gaskets placed in a specially machined metallic ring. High recovery & Ease of handling.